one2one had the most liked content! i like to visit here a few times a day, but hardly ever comment : why is the 12 page view necessary ? One Penny Cash In ? 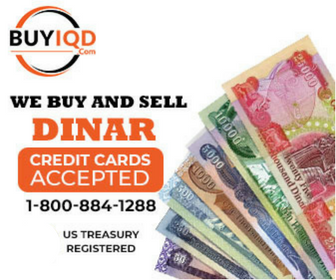 my $ 3000 IQD turns into $ 30,000 USD : or hold it a bit longer ? What to do?, What to do??? my Wells Fargo bank is 4 blocks down the street--i can save walking by calling 800 # : actually, how can anybody be so stupid as to cash-in over the phone ? nobody has mentioned cashing in small amounts--like at the airport--any taxes ? i doubt it : or walking across the mexico border at Laredo and exchange for Pesos--come back and deposit them here ?